Let this be your tactical weapon of choice. 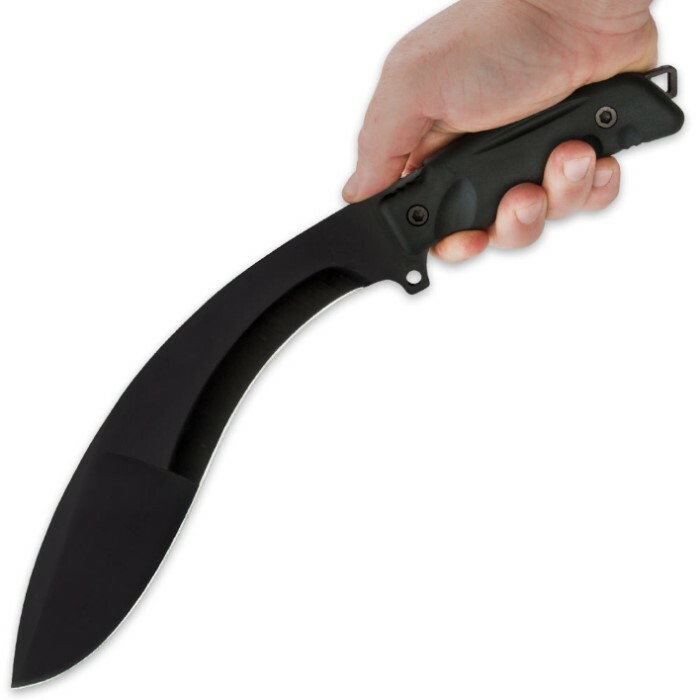 The kukri features a 1/4 in. 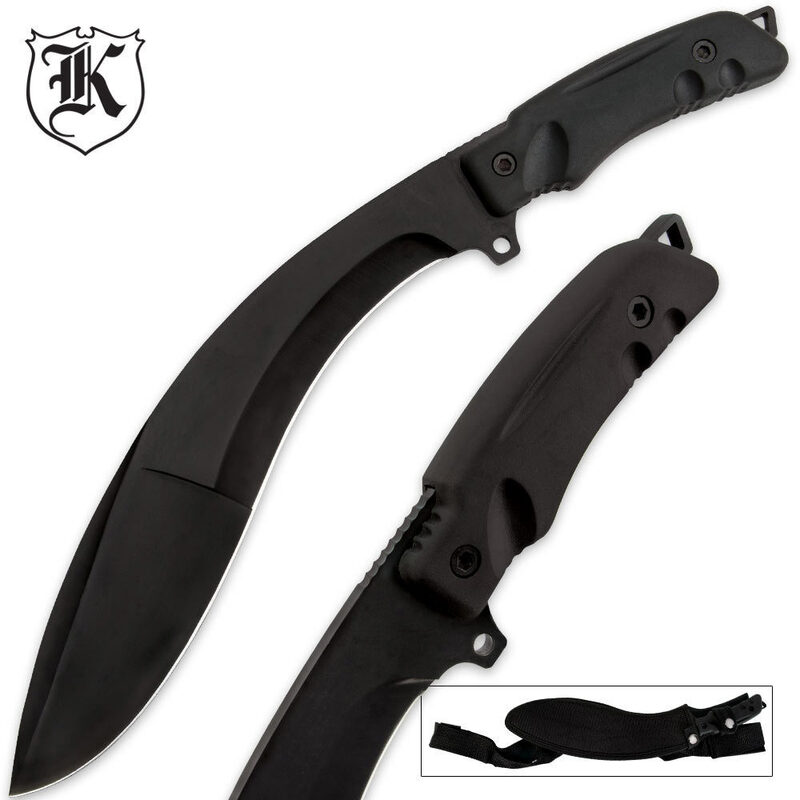 thick blade with a modern geometry and impact resistant rubber handle. The aggressive blade curvature, mixed with thick sides and top, provides solid strikes with a deep follow through. A tough nylon leg platform is included for easy carry while on the move. 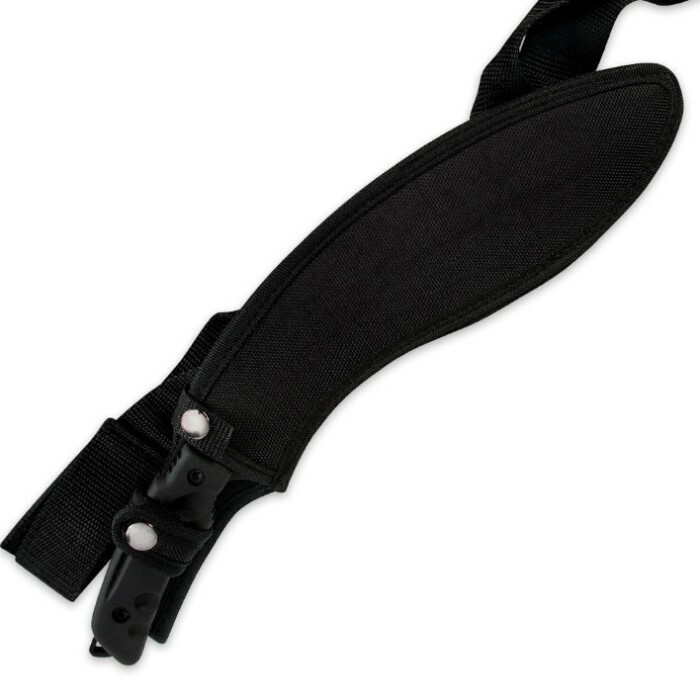 Designed with military and law enforcement professionals in mind, the sheath will not get in the way of tactical vests or most rifle slings, and accommodates both standing and sitting users. Full tang construction, the tang extends past the bottom of the handle for impacting and lanyard use. 10 1/2 in. blade, 15 1/2 in. overall. View more offers from our Extreme Duty Knife Series.